Google is the best option for publishers to earn money through displaying ads on their websites.That is the main reason, these days everyone wants Google AdSense account for their website or blog. If you think your blog or website is according to google policies then apply for AdSense otherwise make changes to your site to get approval. Make sure your posts are well written and informative.readers can understand and can learn something which they want and they get those points for which they have came to your site.Do not try to plagiarize your contents. It is very essential that you use a top-level domain(for e.g. .com, .org, .net etc).It has been noticed that if you use top level domain then your site is approved very fast by Google Adsense, even if you have only little posts. 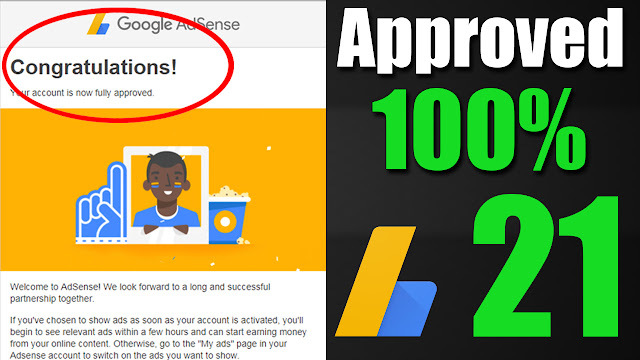 That is all about our topic How To Get Adsense Approval Fast.I am sure it will help you to get Google Adsense approval.best of luck for your website and blog.if you have any suggestion or question you may ask in comment box.